Markets: Astoria, Williamsburg, Corona, Sunset Park, and Tompkins. Markets: 97th Street, Union Square, and Cortelyou. Markets: Union Sq., 97th St., Grand Army Plaza, Ft. Greene, Jackson Heights, and Carroll Gardens. Markets: Atlas Park, Sunnyside, Socrates, 92nd Street, and Columbia. Markets: Tribeca, Bowling Green, City Hall, Rock Center (Jul-Aug), Williamsburg, Carroll Gardens, and Park Slope. Markets: East New York Farms. Markets: Bronx Boro Hall, Elmhurst, 82nd Street, and Grand Army Plaza. Markets: Poe Park, Ft. Washington, 175th St., Inwood, Sunnyside, and Jackson Heights. Markets: Brooklyn Boro Hall and Bushwick. Markets: Saint Marks, Inwood, Corona, Staten Island Mall, St. George, and Cortelyou. Markets: City Hall, Myrtle & Wyckoff, Newburgh, Port Jervis, and Haverstraw. 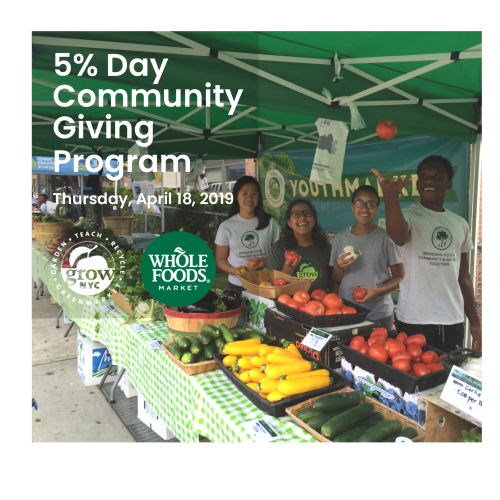 Union Sq., Poe Park, Windsor Terrace, 104th & 3rd, Lincoln Hospital, Corona, 167th St., Sunset Park, Middletown, and 106th St.
Markets: Lincoln Hospital, 175th St., Newburgh, Bushwick, Graham Avenue, and Jackson Heights.